At Auburn University, you'll be able to tap into the expertise and guidance of our highly-experienced, SHRM-certified instructors who are ready to work with you to make sure you are prepared for success on your SHRM-CP or SHRM-SCP exam. ATC & EASHRM members receive 10% discount. AU Students should contact Lisa Brantly, lbrantly@auburn.edu for registration information. Montgomery SHRM members receive 10% discount. AUM Students should contact Lisa Brantly, lbrantly@auburn.edu for registration information. Ask about volume discounts or offering a program at your location. Contact Lisa Brantly at lbrantly@auburn.edu and/or 334-844-3197. 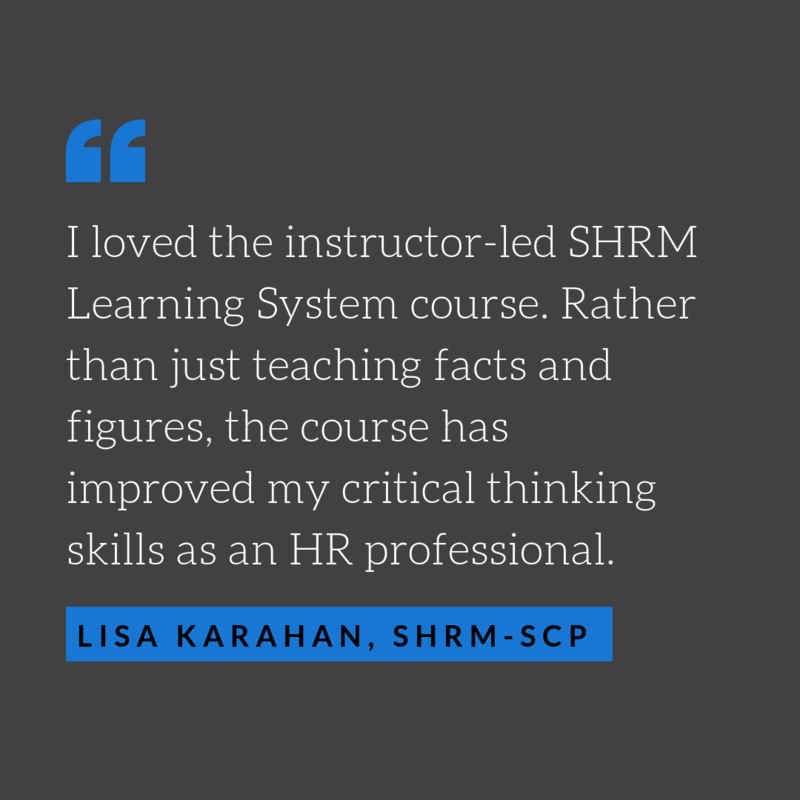 The 2019 SHRM Learning System allows instructors to work with you build a custom learning experience that helps identify HR topics you've already mastered and those you haven't, so courses can be tailored to your needs.